This link will take you to join the special Tina's Leather Crafts VIP newsletter "TLC Club" where you'll be spoiled with secret coupons, updates and sneak peeks, gift ideas and more straight into your email Inbox!! 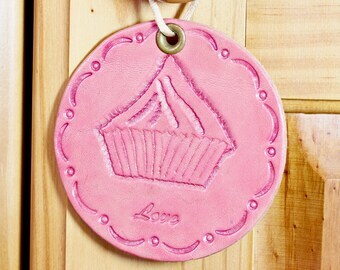 Tina's Leather Crafts (T.L.C) is where you will find that special gift for that special person handmade with Tender Loving Care!! 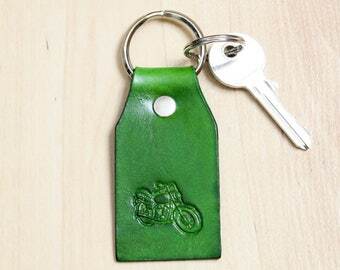 Tina's Leather Crafts specialises in creating quality leather accessories such as leather keychains, bookmarks, wallets and purses, bracelets, leather cases and much more. 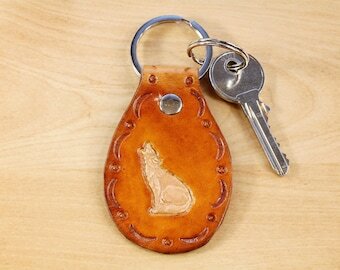 I use high quality leather which I hand-carve, hand-tool and hand-dye for you. 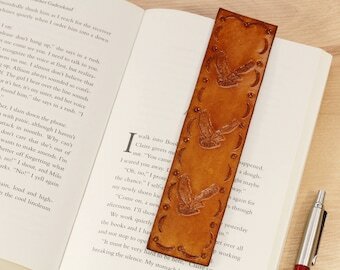 This gives these leather goods the lovely smell, feel, charm and unique character which can only be gained from handmade leather items. 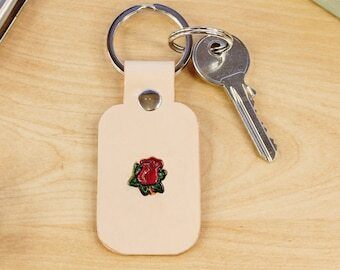 All of my leather accessories are handmade and created by myself (Tina). I hope you love my unique collection of both modern and traditional styles. Need it FAST? Most of the items in my shop ship within a day!! ♥ Life events such as anniversaries, birthday, birth (new mum), baptism, graduation. 1. 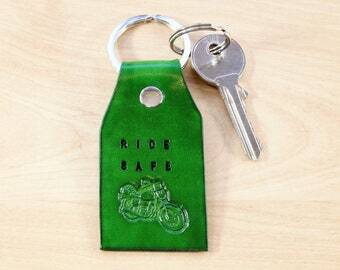 All leather products handmade in England by myself personally. 2. 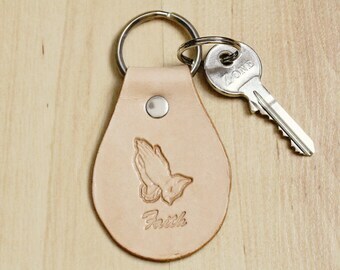 Handcrafted from high quality leather. 3. Excellent, friendly customer service. 4. Fast shipping for ready-made items (ships within 1 business day). 5. Regular updates along the way. 6. Smooth transaction with 14 day money-back return policy (unless a custom order). I'm always here to help!! Tina's Leather Crafts ships worldwide and has had leather orders placed from over 30 different countries since first opening my shop in 2014!! For the shipping times of each item, be sure to check the shipping panel on each listing. New Shape Handmade Cute Elephant Keychains Available Now. 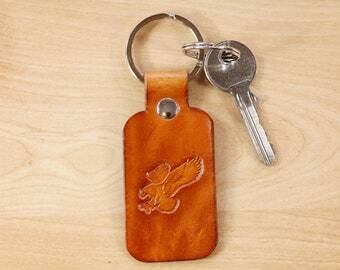 New Shape Handmade Leather Eagle Keychains Now Available!! New!! 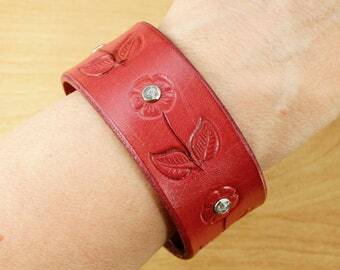 Handmade Pink Leather Flower Bracelet. 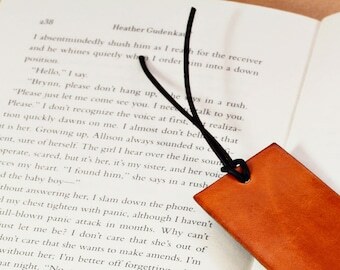 The charm and character of handmade leather! No factories - only LOVE and completely handmade for you! 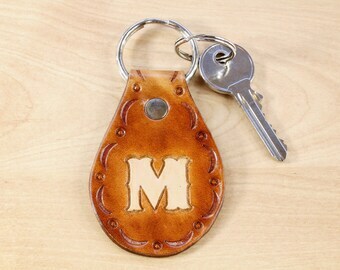 All of my leather items are handcrafted by myself with Tender Loving Care (T.L.C). 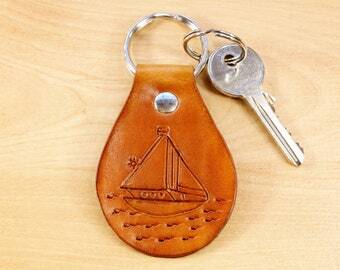 I personally cut out all of my leather items by hand in the authentic, time-honoured tradition. 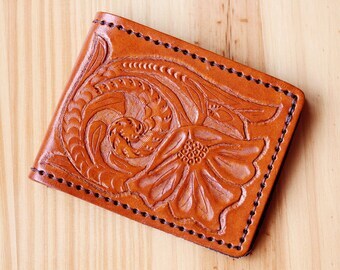 The traditional hand carving on the small leather coin purse. Quality, uniqueness, and great customer service are the values that I have lived by since starting my business. 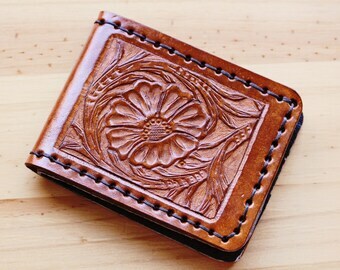 Video summary: The hand carved leather coin purse with traditional floral carving. 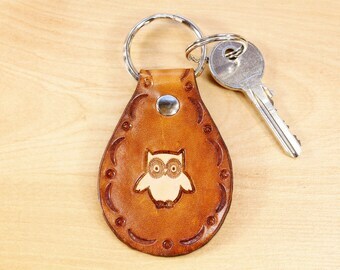 Tina's Leather Crafts (T.L.C) Quality Leather Goods Handmade with Tender Loving Care. In today's modern world it is often hard to find leather items which are truly handmade in an authentic and traditional way. I personally create all of the leather products in this shop from start to finish using traditional, time-honoured methods and tools so you can be sure they really are handmade. 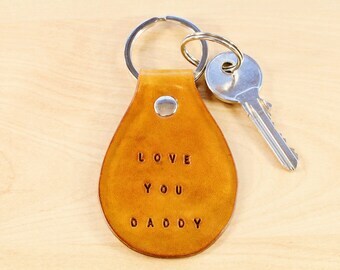 The quality, authenticity and craftsmanship of a Tina's Leather Crafts gift makes it easy for you to show the special people in your life how much they mean to you and will surely be an extraordinary gift that they will cherish. 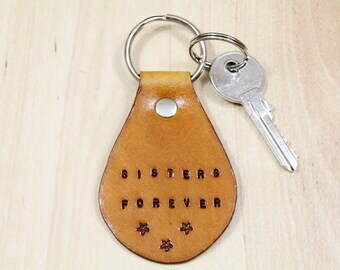 Additionally, most of the items in this shop are ready-made and can be posted out to you very quickly. 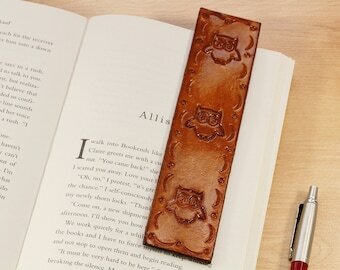 As I have been hand-carving, hand-tooling and hand stamping leather for over 6 years, I have the traditional leathercrafting skills that can only be gained over time and with practice. I also come from a long line of leather workers as my father and many of my uncles and great uncles worked with leather as my local area in England is very well-known for it. 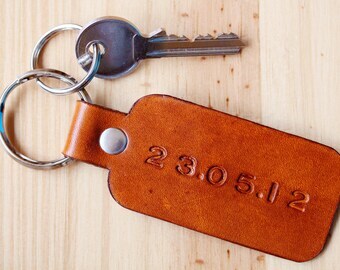 Therefore, with this heritage you can be sure my leather products are not mass produced, machine stamped or embossed. 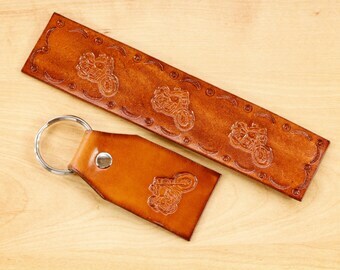 This also gives these leather goods the lovely smell, feel, charm and unique character which can only be gained from leather products which are truly handcrafted to last and enjoy for years to come. 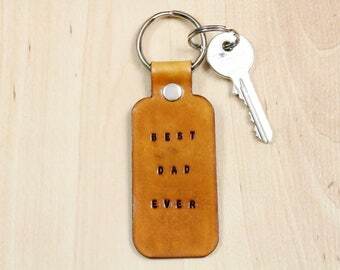 You have a wide choice of leather key fobs, bookmarks, comb cases and other items so there is always a leather gift to suit everyone. 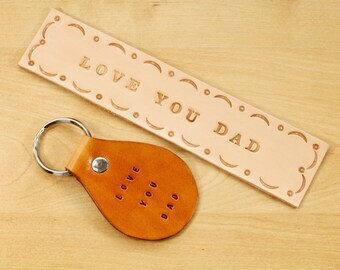 Also, there are now leather gift sets available which make it even easier to find the ideal gift. 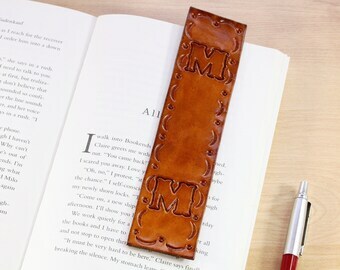 Leather items can also make wonderful romantic gifts between couples for a wedding anniversary (especially a leather anniversary). 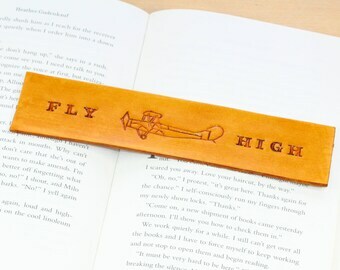 The leather bracelets are made of premium quality leather and are very comfortable to wear. There is a large selection of bracelet designs to choose from and they vary from wide leather cuffs to narrow leather bracelets. All of the leather products in this shop are stylish and practical which is ideal when bought either as a gift for someone else or as a treat for yourself!! 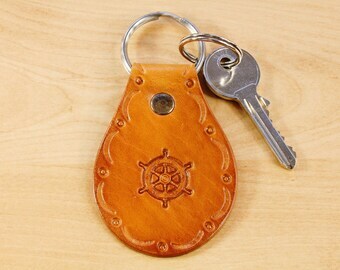 Tina's Leather Craft products are made from vegetable tanned leather, a natural tanning process using tree bark, which often imbues the leather with a firmer feel making the leather product more durable. 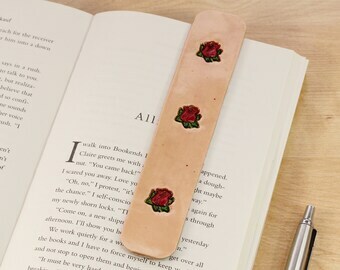 Vegetable tanned leather has amazing qualities and it will take in colours and shine to become an extremely personal product with a lot of character. A piece will become uniquely yours after a very short amount of time. 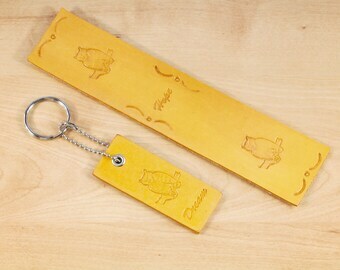 The high quality leather is cut by hand. 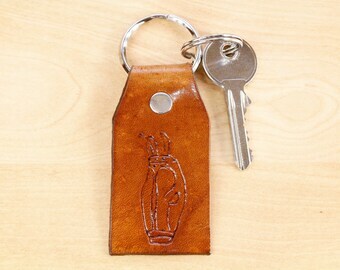 If the design is to be hand carved, the design is carefully traced onto the leather. 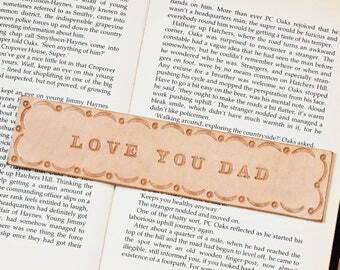 The design is then hand-carved, hand-tooled or hand-stamped. The hole punching is done by hand, one hole at a time!! The snaps, rivets or other hardware are also fitted by hand. If applicable the item is stitched by hand. The natural leather is hand dyed using old-school dying techniques (with eco-friendly products) to accentuate the full grain, colour variances and natural imperfections of each hide. 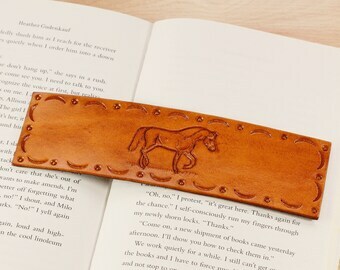 The beautiful rich leather is also hand burnished. Each piece is unique as it is individually handcrafted and no two pieces are identical. The leather wallets are handcrafted from one of the finest premium quality hand carving leathers available as it has the lovely smell and feel of high quality leather. 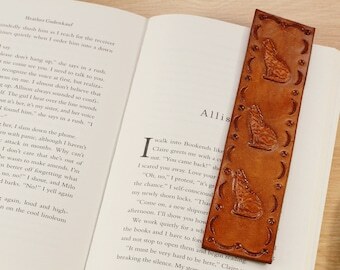 Many of the leather wallets have intricate hand-carving and are hand-stitched as no sewing machines are ever used. 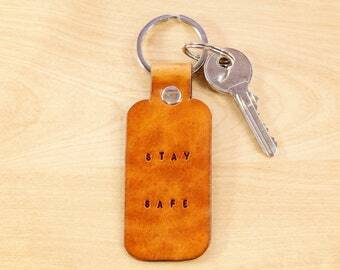 Very unusually, the leather interiors of the wallets are also handmade and there is a variety of credit card layouts. 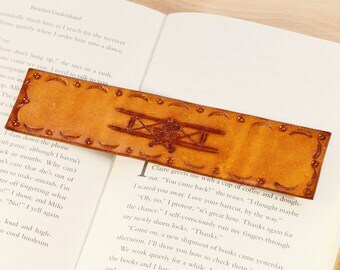 The leather of the wallet interior is cut by hand from high quality leather and hand stitched with waxed linen thread. This process takes skill and is very time consuming but it means the leather wallet has far more character. These leather wallets, which are gift boxed, are timeless and make a real statement. 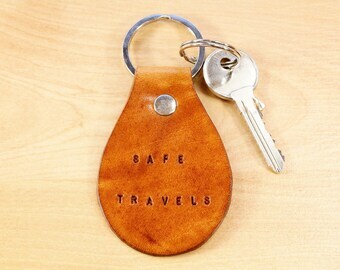 Thank you for shopping at Tina's Leather Crafts (T.L.C) for Leather Goods Handmade with Tender Loving Care!! 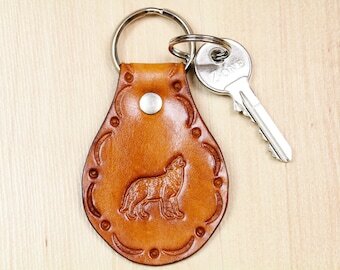 I personally design, handcraft or hand-carve, hand-sew and hand-finish all of the quality leather goods in this shop. I also pack the orders and personally reply to customer enquiries. •	Service providers. I engage certain trusted third parties to perform functions and provide services to my shop. I will share your personal information with these third parties, but only to the extent necessary to perform these services. •	Business transfers. If I were to sell or merge my business, I may disclose your information as part of that transaction, only to the extent permitted by law. I only keep the proof of posting for your package with your address on it for as long as necessary until it is clear you have received your order. Afterwards the proof of posting will be securely shredded and I only retain your name and country and the details of the item(s) you purchased in case you would like another item made with Tender Loving Care. I Will Not transfer information about you outside of the EU. Tina Burton-Still, Rose Haven, Welbourne Close, Raunds, Wellingborough, Northants, NN9 6HE, England.